A sprain occurs when you turn or involuntarily twist your ankle awkwardly causing the ligaments around your ankle bone to tear. Ligaments are strong tissue structures that hold your ankle bones in place, and tears will cause a lot of pain and also a lot of bruising. Pain is normally present around the outside of the ankle and can feel weak as if going to give way when walking. 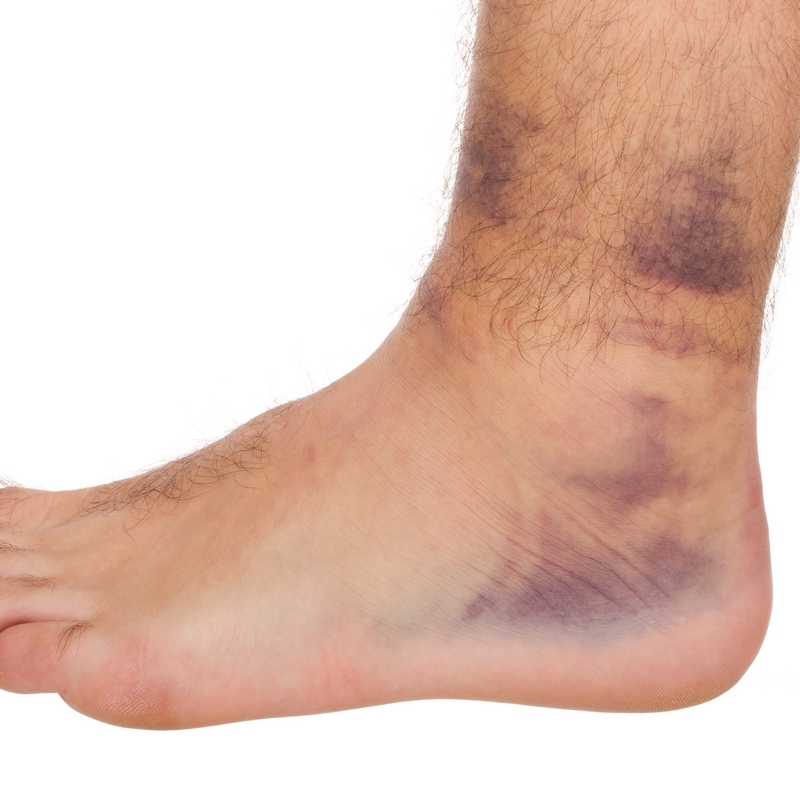 Sprains are always accidental injuries caused when the ankle ligaments move too far and either stretch or snap, usually when the ankle overturns or overtwists. Rest and Ice your leg after exercise to ease the pain. Keep your foot elevated to promote blood flow, and avoid weight bearing, either through rest or by using crutches. Strapping and/or taping your foot and ankle will prevent movement of the foot and keep the ligaments in place whilst they heal.